Municipal Corporation Dept recruitment 2019. 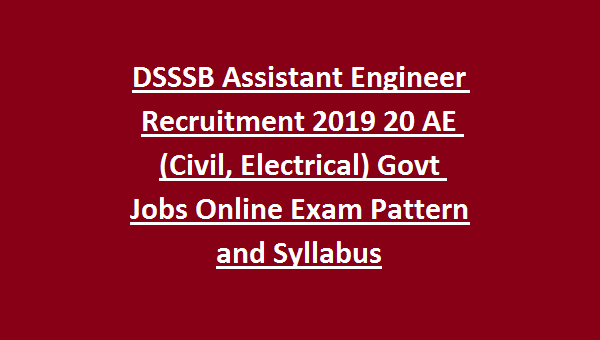 Candidates who are qualified Engineering Degree or Diploma in Civil Engineering or Electrical Engineering or its equivalent qualification they are eligible to apply online for this DSSSB AE (Civil/Electrical) recruitment 2019. 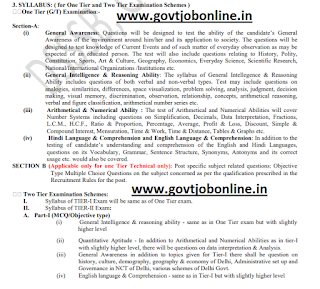 Official website to apply online for this Delhi DSSSB recruitment of Assistant Engineer recruitment 2019 is http://dsssbonline.nic.in. Candidates selection is based on written exam (Tier 1 & Tier II (Objective & Descriptive)) and interview for this DSSSB AE Posts. Written Exam will be conducted for 200 marks in Tier 1 Exam. 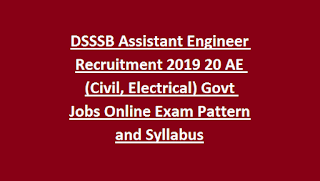 Last date to submission of application form online is 01-03-2019 for this DSSSB AE (Civil/Electrical) recruitment 2019. Exam Pattern and Syllabus topics, age limits, number of vacancies are updated below for this DSSSB AE Recruitment 2019. There are total 20 posts are in this AE (Civil/Electrical) recruitment of DSSSB Delhi Municipal Corporation dept. Upper age limit is 32 years for this AE Posts. Diploma in Civil Engineering or Electrical Engineering qualification is mandatory to apply online for this AE Posts. No fee for Women, SC, ST & PWD candidates. 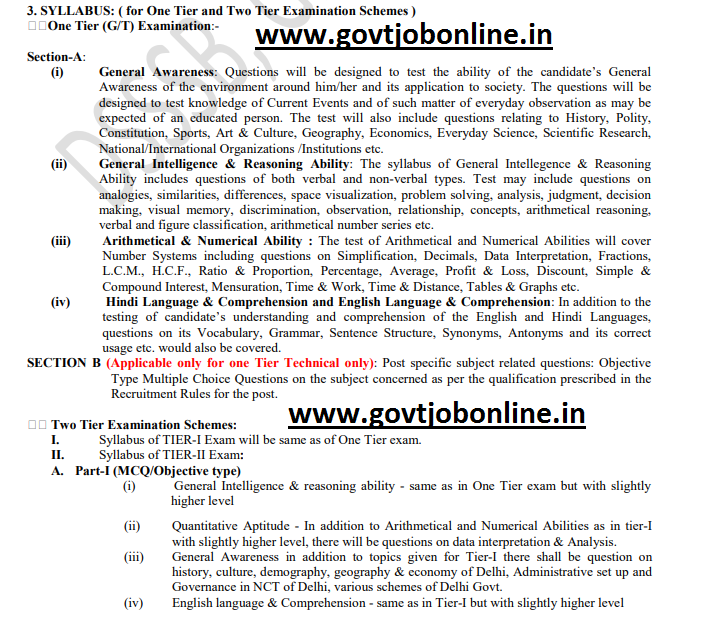 Written exam will be conducted in two stages Tier 1 & Tier 2 and interview. 2. General Intelligence & Reasoning ability-20 Marks. Online applications only accepted for this DSSSB AE (Civil/Electrical) posts through official website of http://dsssbonline.nic.in. Closing date of online form is 01-03-2019.